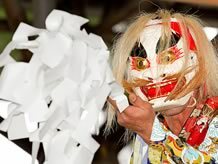 Ogatsu Hoin Kagura is a performance of sacred Shinto music and dance that is dedicated to shrines in Ogatsu on a regular basis every year. 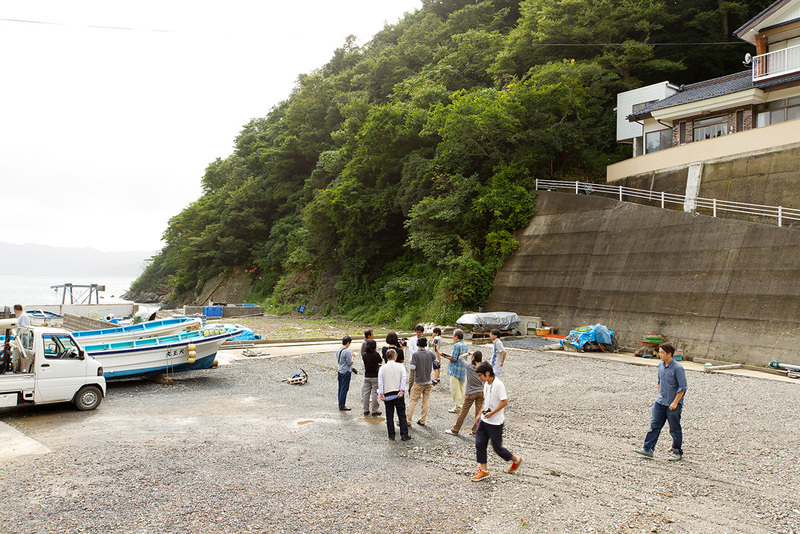 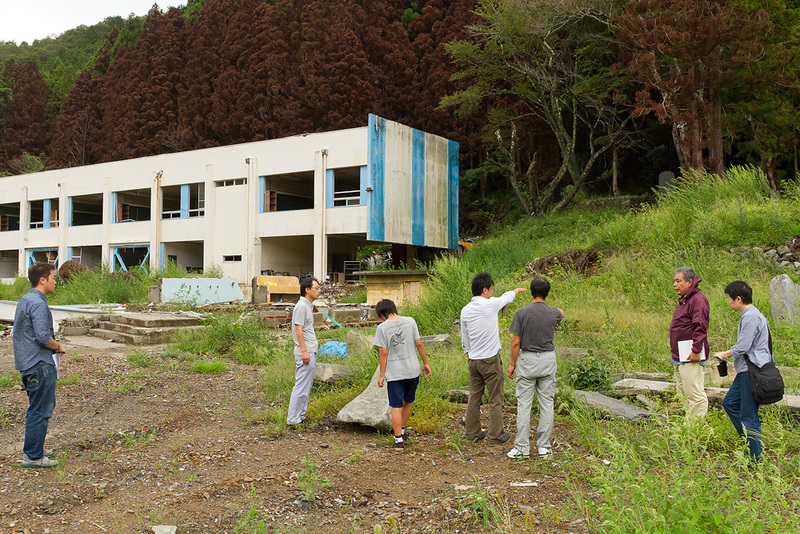 To perform the Kagura after the tsunami, Ogatsu Hoin Kagura Preservation Group, as the executive committee, needed to remake temporary stages as the old ones were washed away in the tsunami. 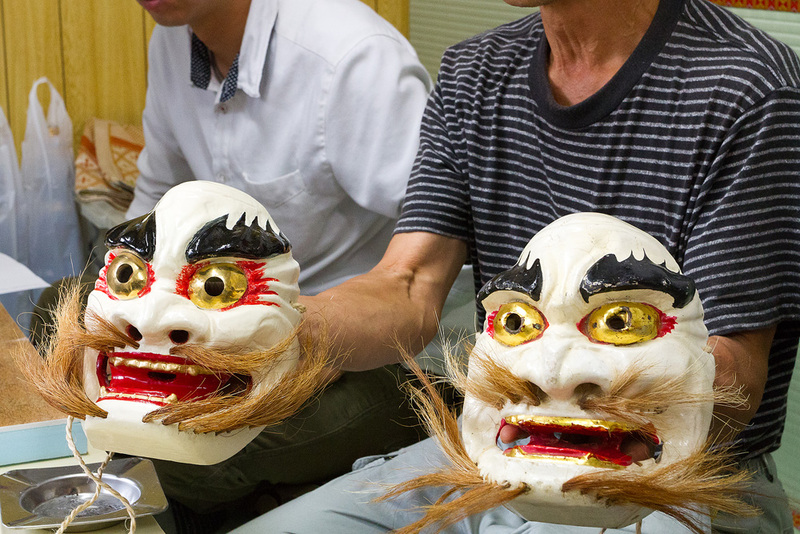 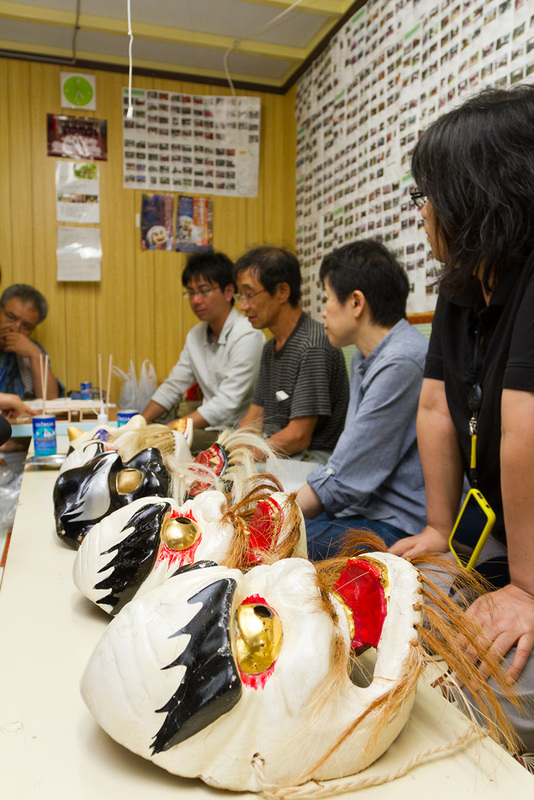 As a part of the stage production, field research was conducted with relevant parties including Sendai Engeki Kobo 10-Box. 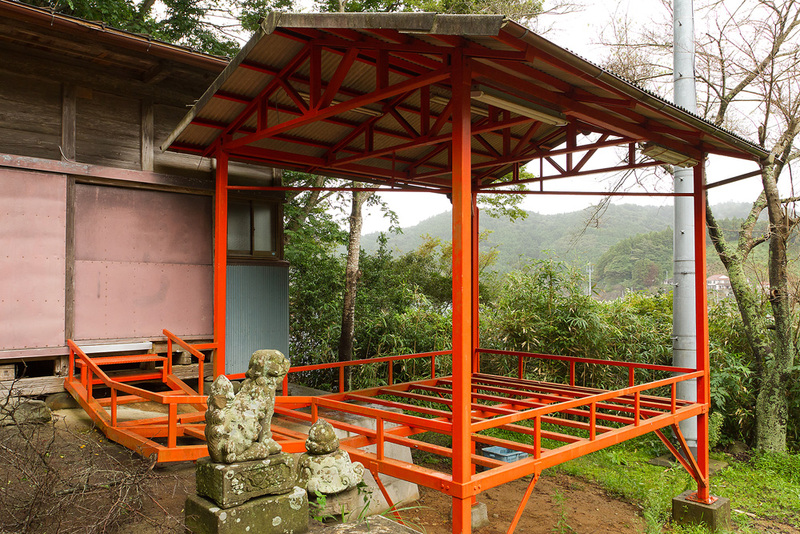 This shrine was equipped with a steel-frame stage. 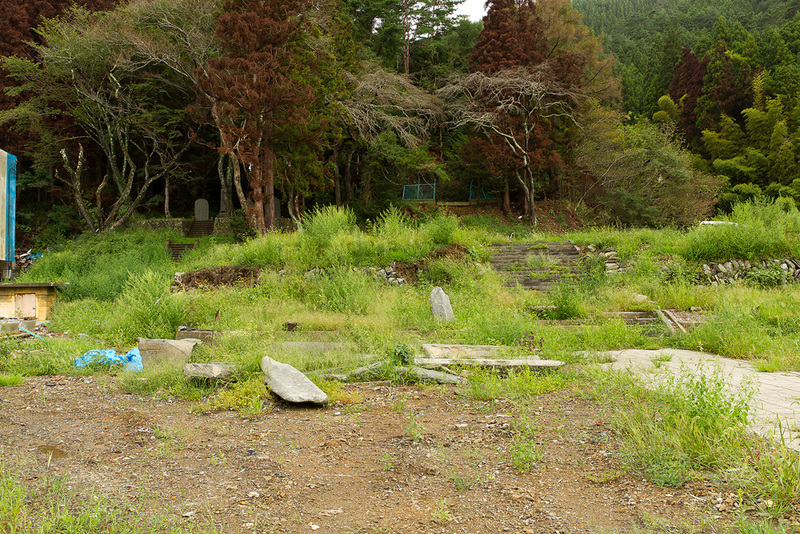 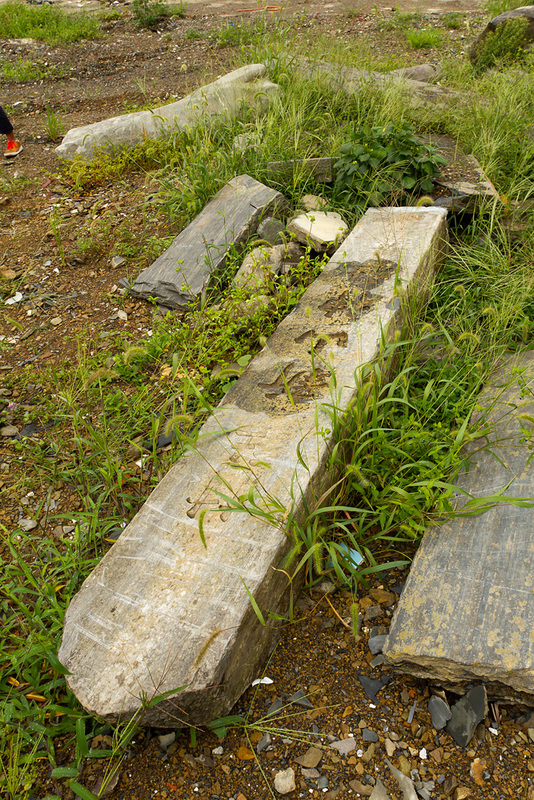 Traces of Niiyama Shrine, beside Ogatsu Elementary School. 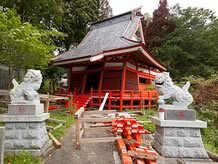 A temporary shrine has been built on the site of the shrine pavilion that was washed away by the tsunami. 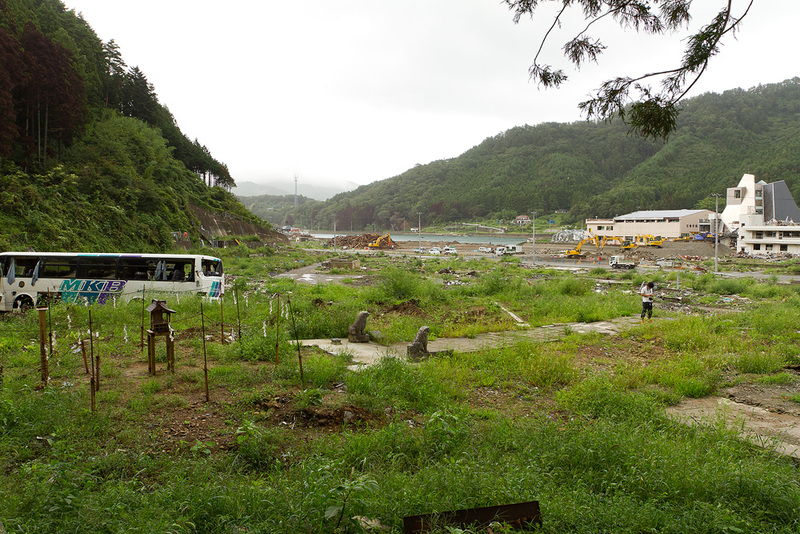 From the right rear of the site. 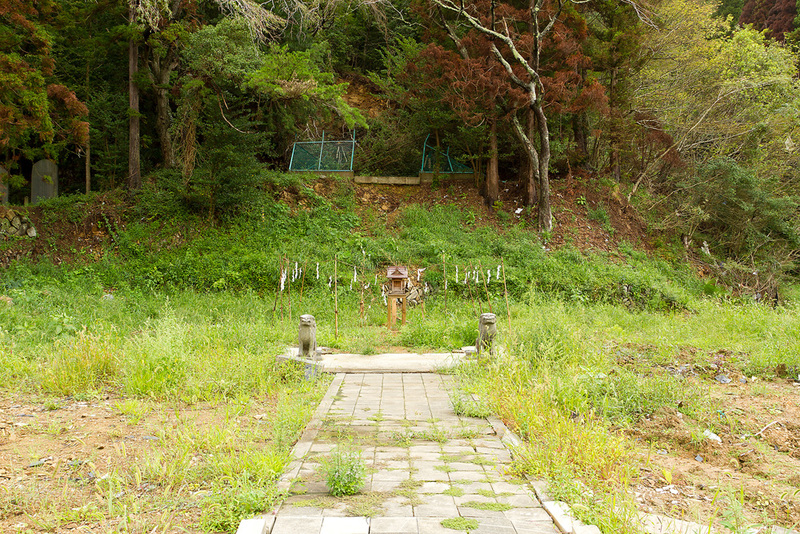 This is where the Kagura was scheduled to be performed. 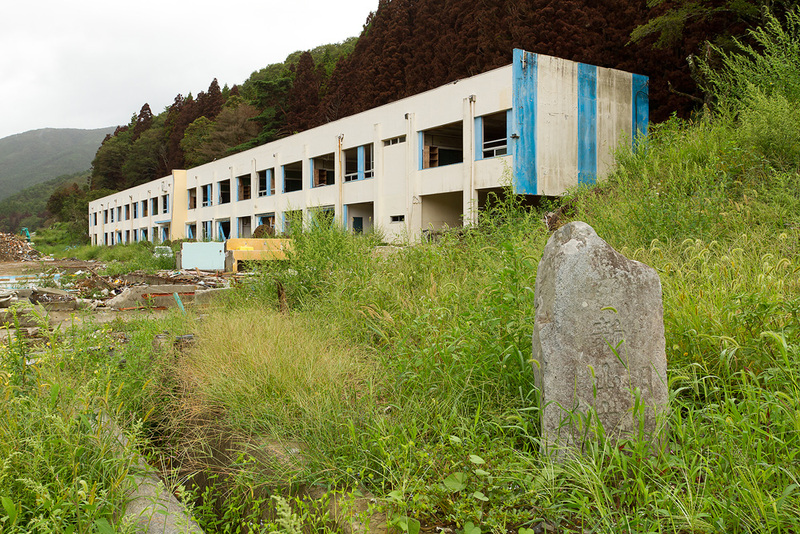 Ogatsu Elementary School, located right next to the site. 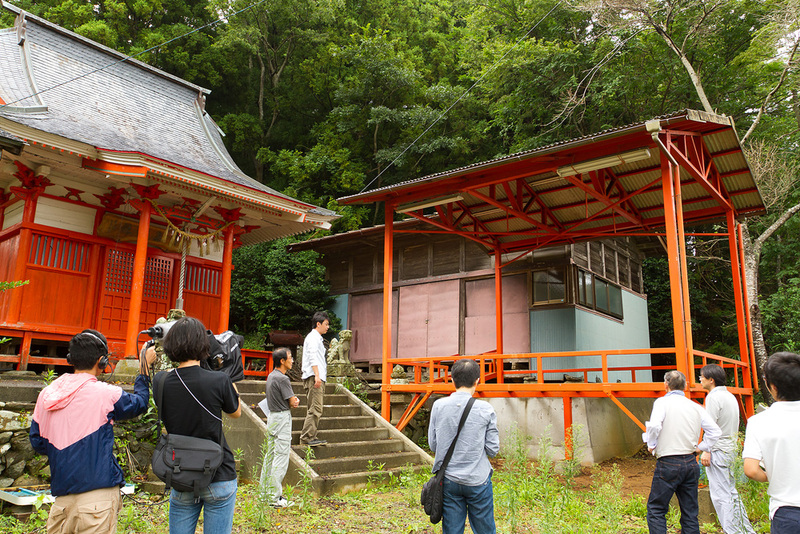 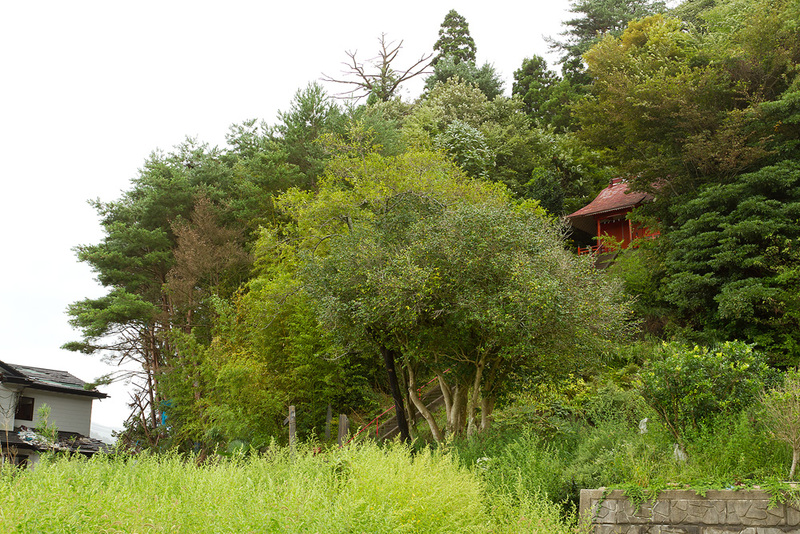 The house at the back is the house of “Miyamori (shrine guard)”. 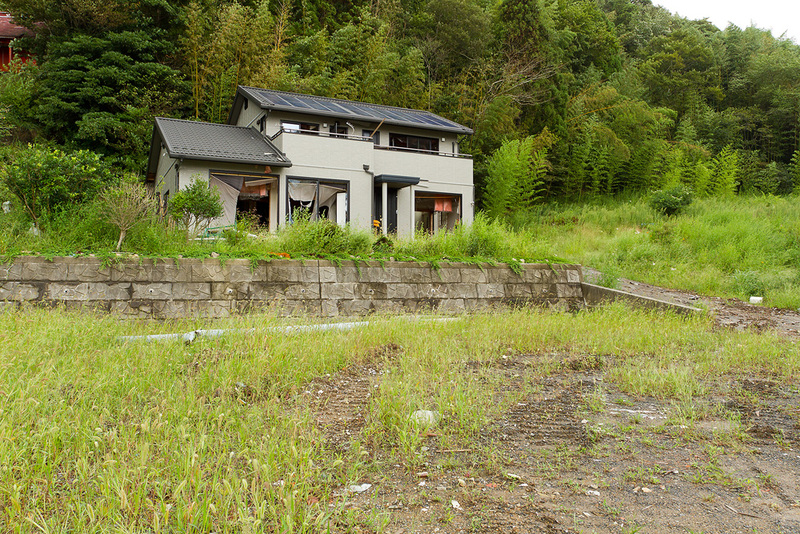 I learn that a stage was set up in front of the house. 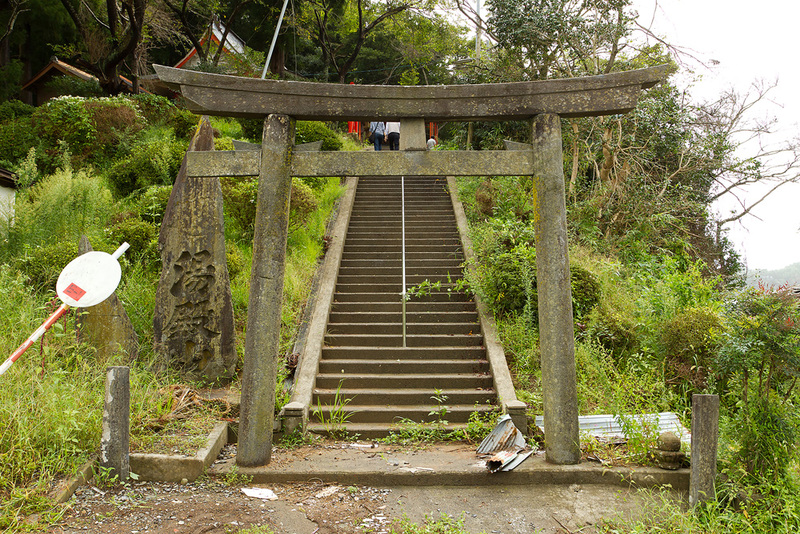 Tachihama, Ogatsu. 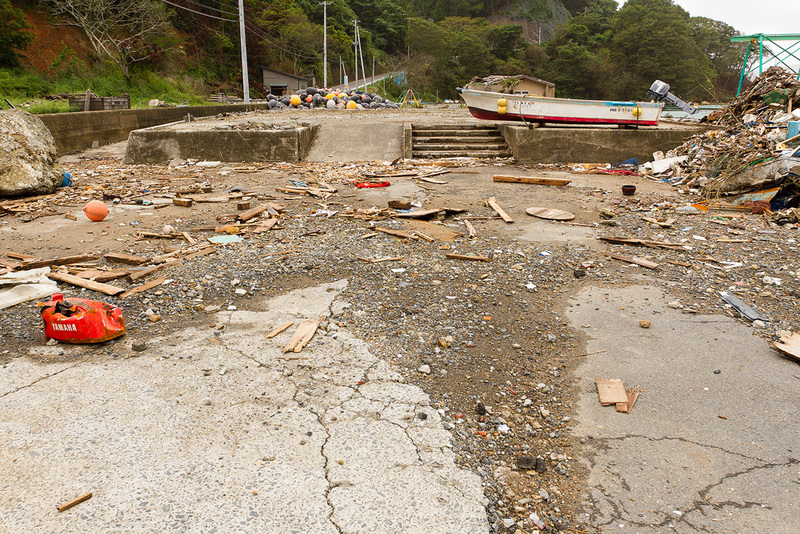 A stage was set up in front of the Tachihama Kaikan hall, but the hall was washed away. 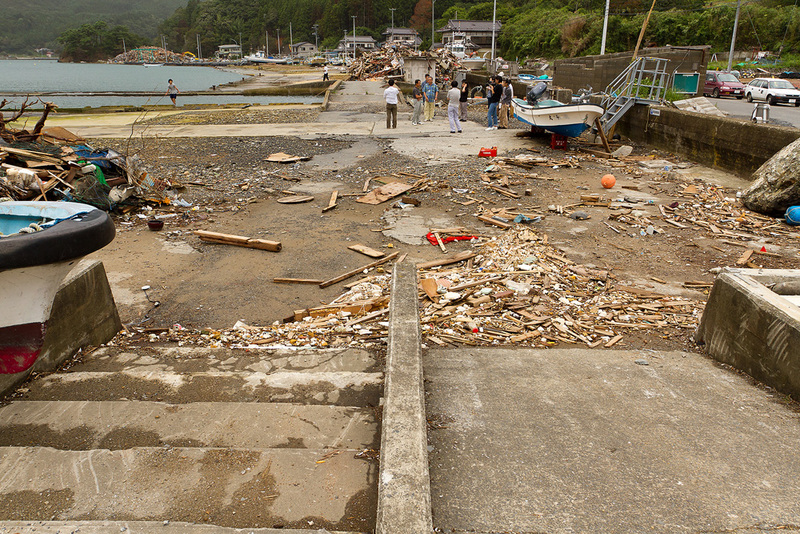 The debris remains. 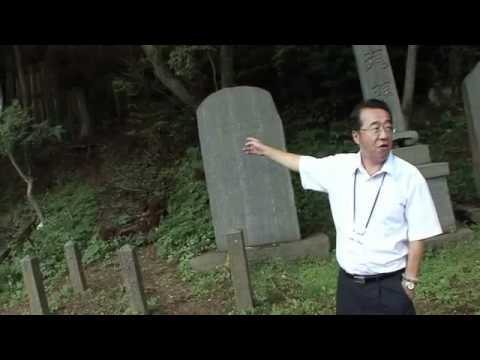 Osu, Ogatsu. 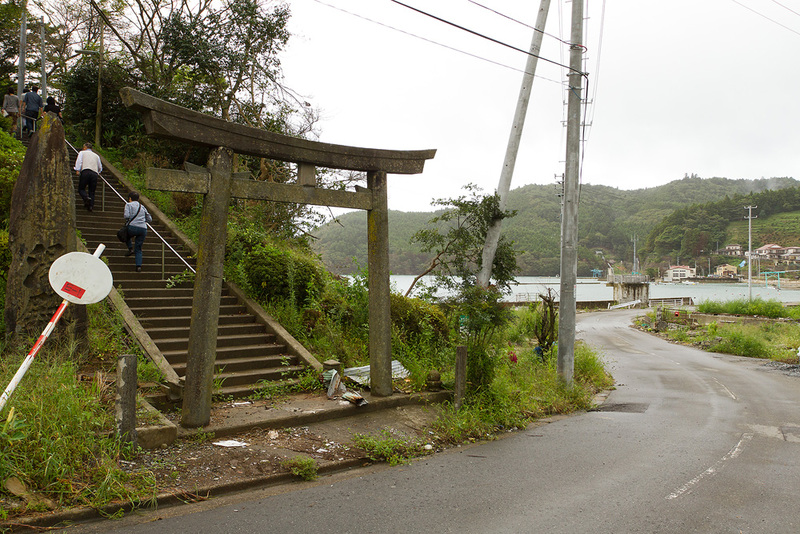 I learn that a stage was set up in front of the house. 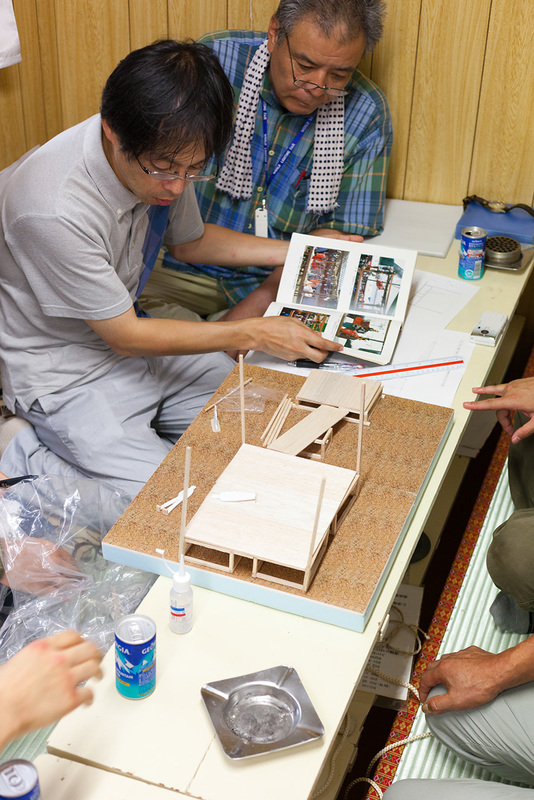 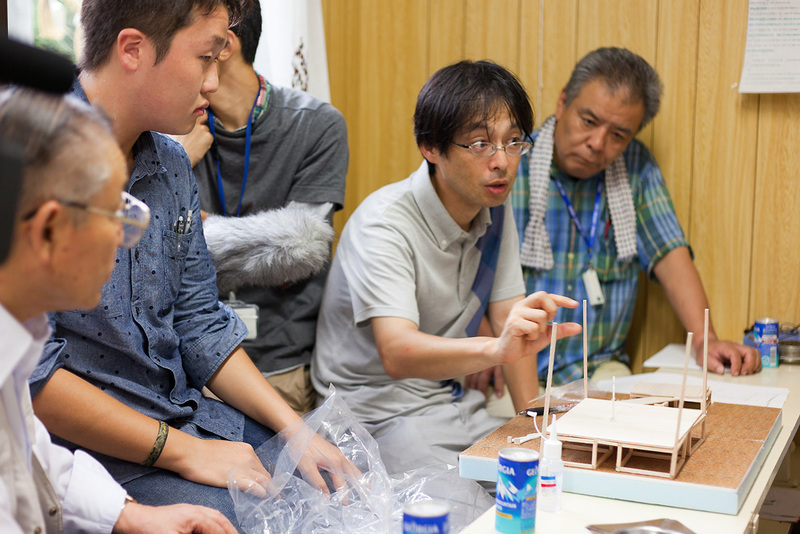 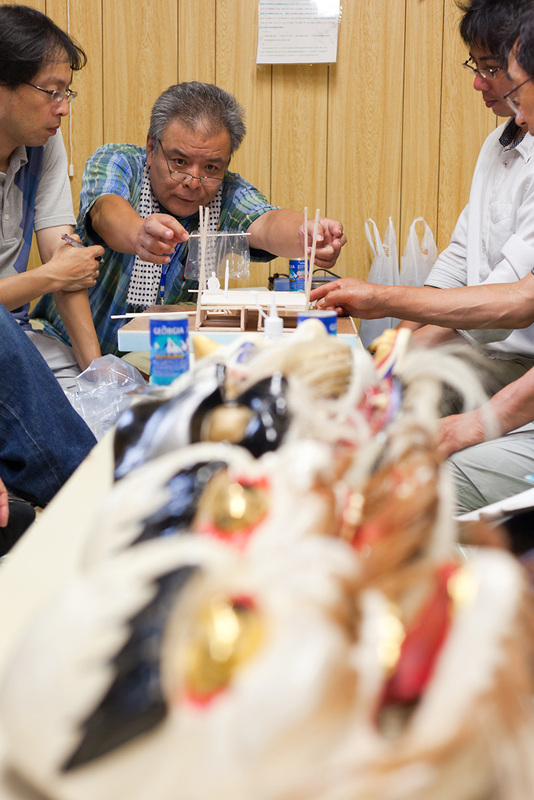 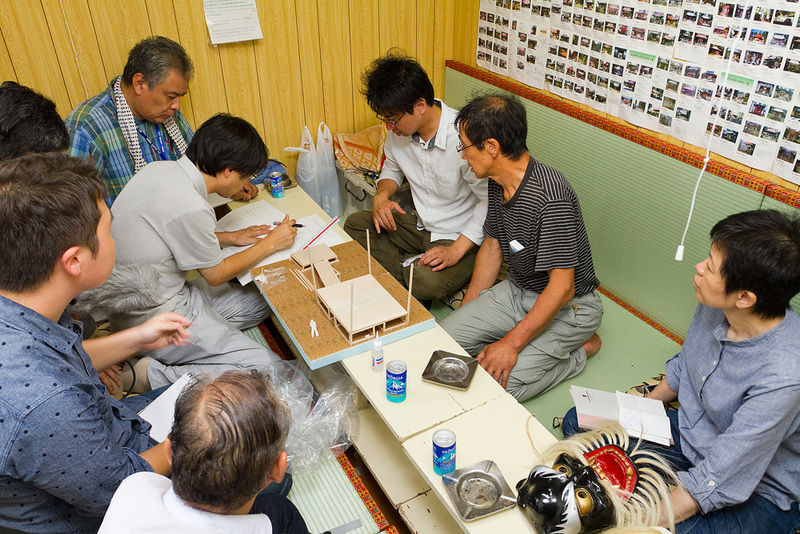 They return to Ohama to discuss the details of the stage using the model in front of them. 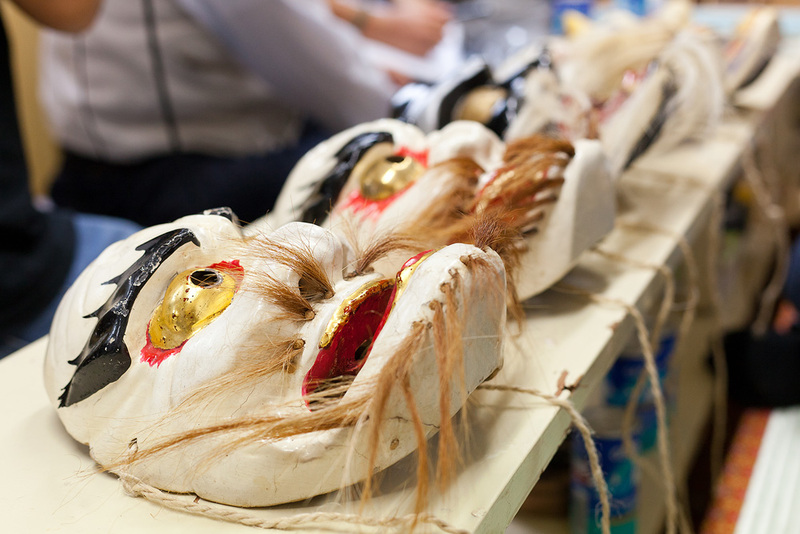 Both new and old masks. 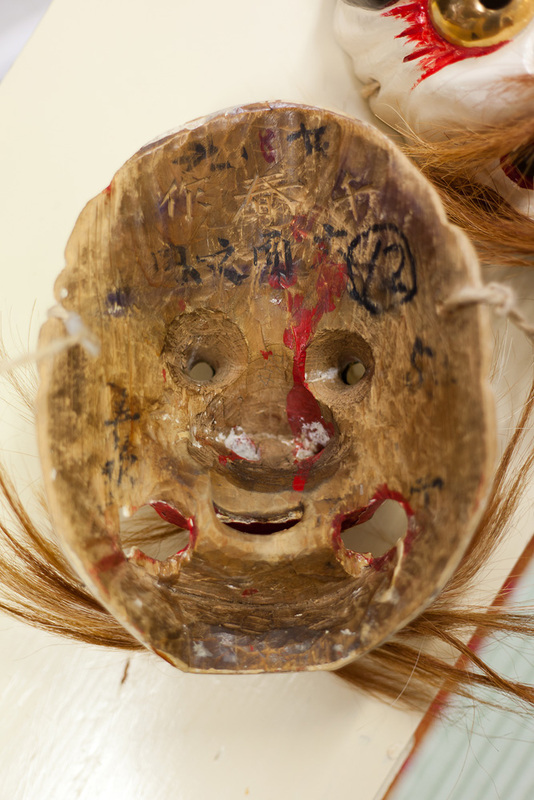 The inside of an old mask. 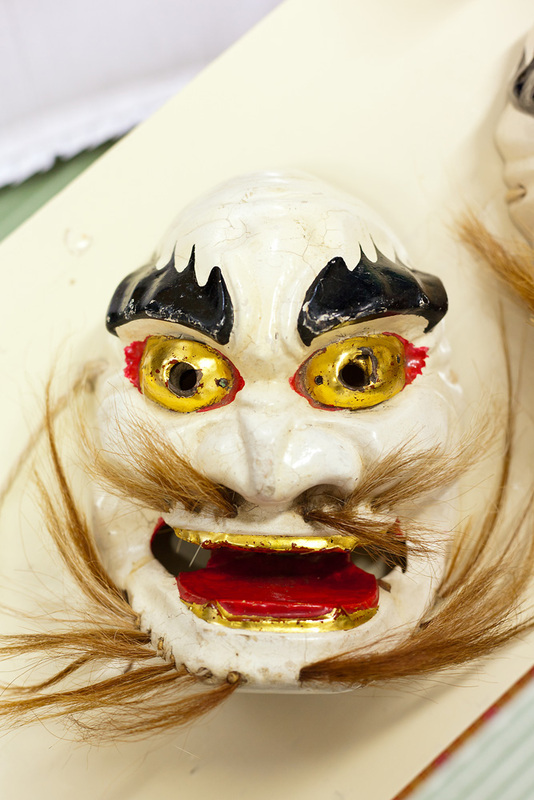 The front of a mask. 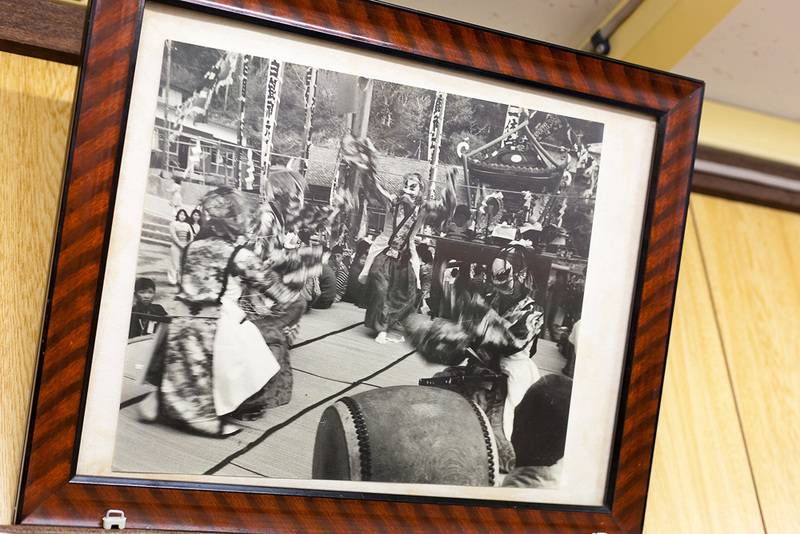 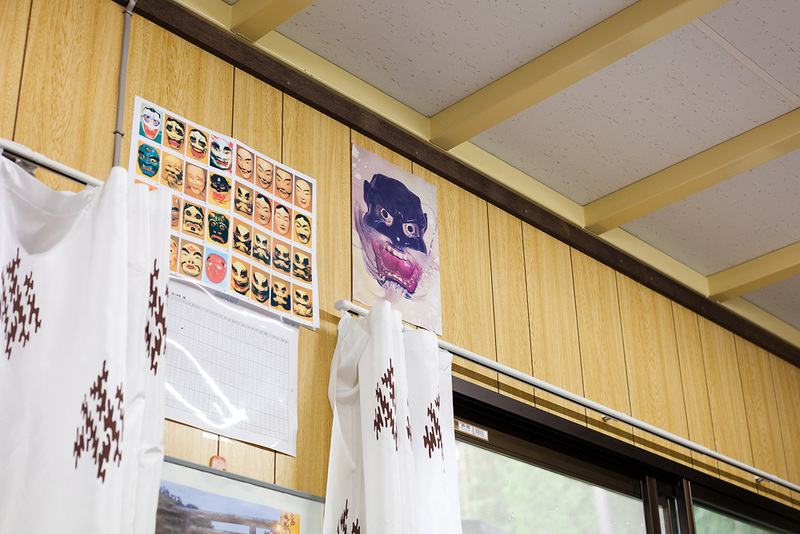 A photo of Ogatsu Hoin Kagura as it was in the olden days is framed and hangs on the wall. 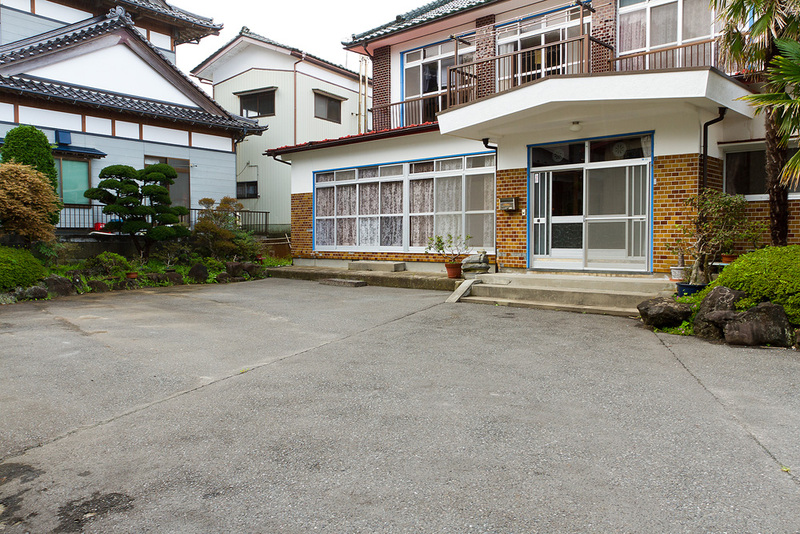 I can see that tatami mats are laid on the floor. 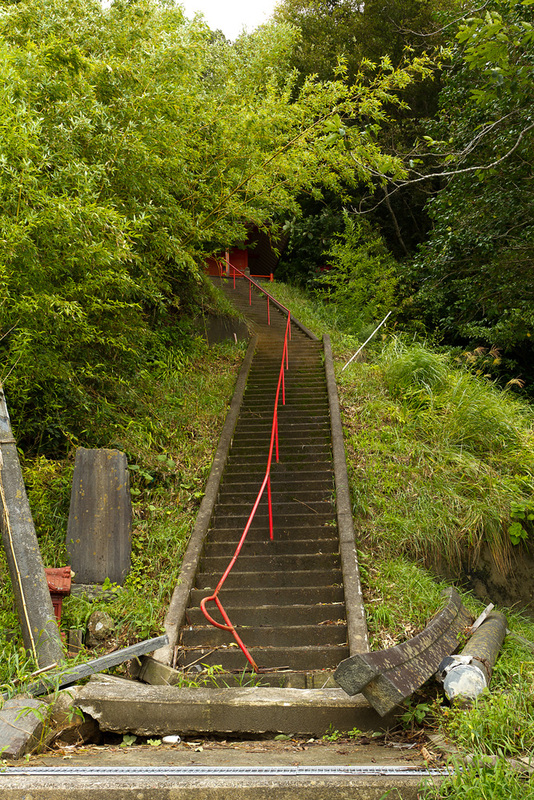 They say that it is rare for tatami mats to be laid on the stage of Kagura.